A regular comprehensive eye exam is crucial to preserving your sight. A comprehensive eye exam involves much more than a simple vision screening. Even if you feel you are not having any problems with your vision, many ocular diseases have no symptoms and can only be detected through a thorough examination. In fact, many health problems, such as diabetes and high blood pressure, can be first detected in the eyes. Spring Hill Eyecare, PLLC has various automated and computerized instruments to streamline the examination process. Prior to the entering the examination room, you will go through a series of tests using the latest technology available. The exam begins with a discussion of your medical and ocular history. 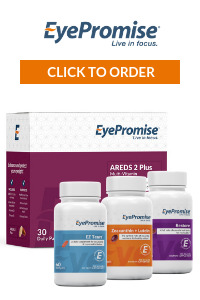 Many health disorders manifest other problems in the eyes that you may not be aware of. Bring a list of the names and dosages of all medications (prescription and over-the-counter) you are taking. Let the doctor know about any medicinal, seasonal, environmental, or food allergies you have. Please make our doctors aware of any visual problems or questions you have. Be sure to mention any specific work, school, hobby, or sports-related visual demands. The next step is determining your visual acuity both at distance and at near and with and without your current glasses or contact lenses, if applicable. Many patients are able to memorize most eye charts by the end of an exam and can not accurately gauge if they are actually seeing the line clearly. With our LCD monitor and computerized eye chart program this is no longer a problem as we can randomize the letters, numbers or pictures an infinite number of times. A variety of other tests will be performed depending on the patient's age. These tests may include testing your color vision, depth perception, central vision, peripheral vision, and binocular vision. Our doctors will examine your refractive status to determine the best prescription for your glasses and/or contact lenses. Our doctors will use a variety of instruments to determine the health of your ocular structures starting with the more anterior structures (lids, lashes, tear film, sclera, conjunctiva, cornea and iris) working towards the posterior structures (lens, vitreous, optic nerve and retina). The doctors will also measure the intraocular pressure of your eyes, one of the clues that aid in detecting glaucoma.